Its about time we get supercomputers for ourselves, right? All those with deep pockets who dream of really owning a supercomputer,your prayers have been answered. 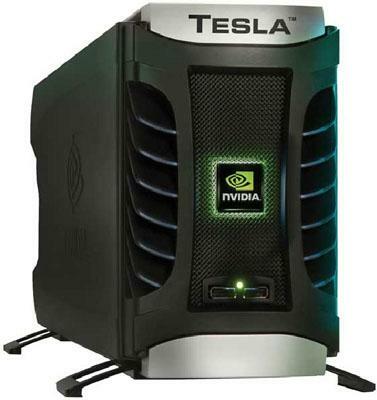 NVidia has come up with "Tesla personal supercomputer" that delivers cluster computing like performance and is upto 250 times faster than the present day personal computers or workstations. Tesla is powered by 4 GPU's, each having 240 processing cores (that makes 4*240=960 cores working in parallel in total) based on the http://www.nvidia.com/object/cuda_home.html, delivering whopping performance of near 4 Teraflops! If you want to lay your hands on this ultimate mean machine, you will have to lighten your pockets by about $10,000!